The jigsaw puzzle app includes more than 20,000 jigsaw puzzles, with a premium upgrade allowing players to create puzzles from their own pictures. After crossing one billion play sessions on iPad, XIMAD‘s Magic Jigsaw Puzzles has come to iPhone for users running iOS 7 or later. The app allows users to access more than 20,000 jigsaw puzzles, or turn their own images into puzzles within the app. While players can try stock puzzles for free, they must purchase the Gold Pack upgrade to create their own puzzles. This upgrade costs $4.99, with the purchase including a bundle of free puzzles, as well as ad removal from the experience. Gold Pack owners can create puzzles from images imported from their camera roll, Facebook, Dropbox or Flickr. Even without the Gold Pack, users can try puzzles based on user-uploaded pictures, or those created by their Facebook friends. The app supports multiple puzzle difficulty levels, each relating to the number of pieces in the final puzzle. While the base experience sees all pieces presented in their proper orientation, an additional rotation mode increases the challenge by asking players to rotate pieces before connecting them. Players can work on more than one puzzle at a time, and save their progress between images. 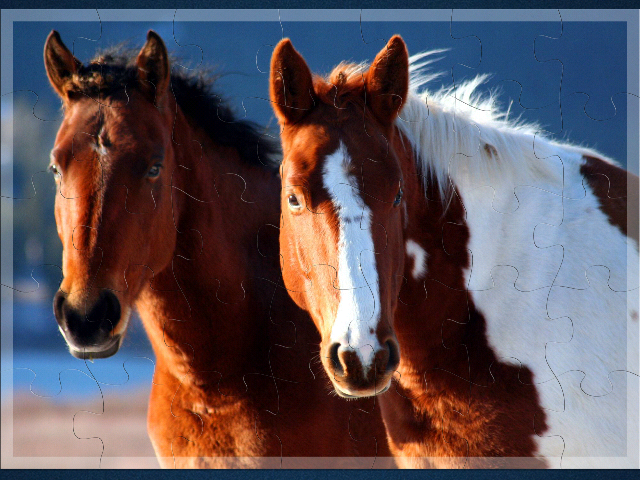 Magic Jigsaw Puzzles offers a new free puzzle each day, as well as many more in premium bundles in the store. Players purchase these bundles with coins, which can themselves be purchased outright, or earned over time by completing other puzzles. After the huge success Magic Jigsaw Puzzles had on iPad and Android, with more than 2,000 cumulative years of puzzle time already logged, we’re now bringing the puzzle magic to iPhone users. Now iPhone owners can join the millions of puzzlers who have logged more than a billion play sessions to become puzzle masters on the go, share creations with friends and seamlessly build high-quality puzzles from their personal photo collections. Magic Jigsaw Puzzles is available to download for free on the iTunes App Store, Google Play and the Amazon Appstore.